Duegiri è un abajur con prolunga USB. Siamo partiti da un problema: carica batterie con cavi troppo corti. Richiama esteticamente i classici paralumi da comodino: è una lampada 2.0. Nasce infatti proprio dalla volontà di reinterpretare il classico, adattandolo ai tempi attuali sia estaticamente che da un punto di vista funzionale con l’integrazione del cavo USB “femmina”. Quest’ultimo, quando non utilizzato, si avvolge intorno al paralume e si poggia nel pratico svuota tasche. La base basculante la rende un oggetto che interagisce con l’utente poiché dondola quando srotolo il cavo. Duegiri is a abajur with USB extension. We started with the analysis of a problem: a battery charger with cables that are too short. 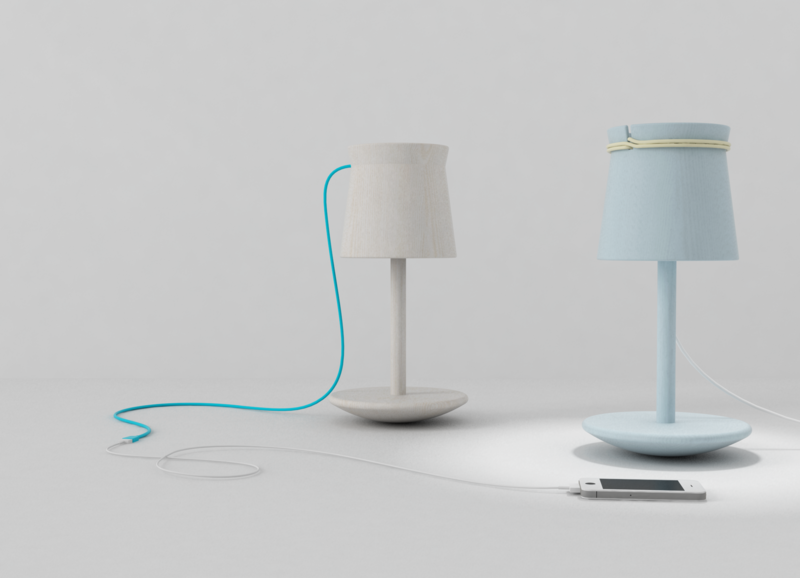 It calls to mind classic bedside lampshades: it is a lamp 2.0. 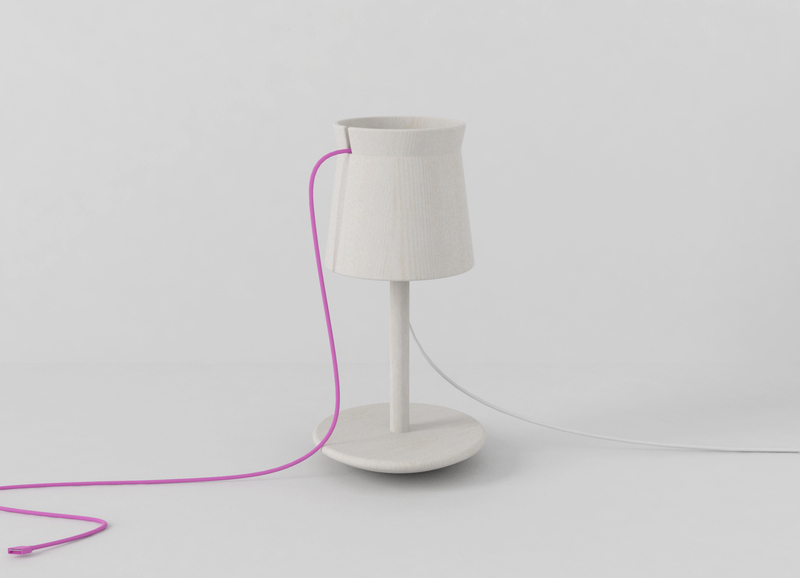 It was born from the desire to reinterpret the classic, adapting it to current times, both aesthetically and from a functional point of view with the integration of the USB socket. 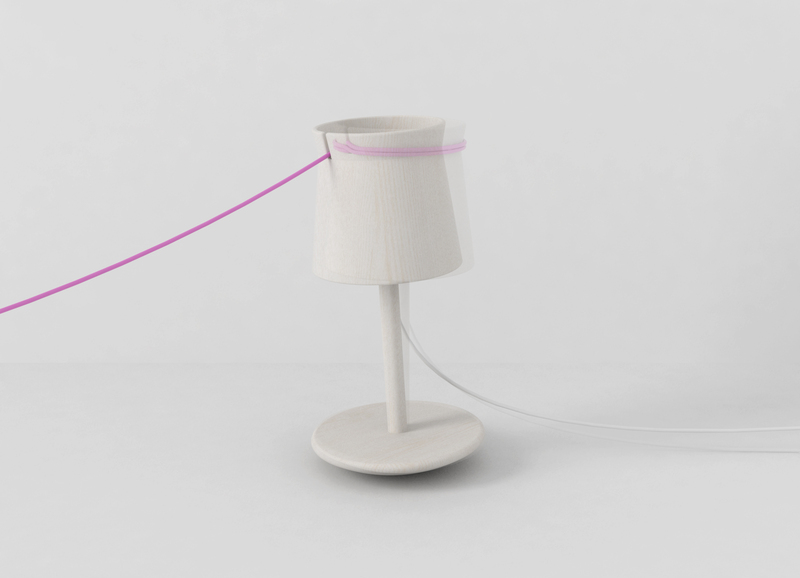 The latter, when not in use, is wound around the lampshade and rests in a pocket emptier. The rocker base makes it an object that interacts with the user, infact it swings when you unroll the cable.